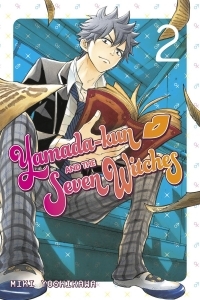 Having witnessed a shocking scene between Yamada and Shiraishi, the latest addition to the Supernatural Studies Club, Miyabi Itou, makes it her mission to spread damning rumors about her fellow club members. But Yamada can’t let that happen, because if things get out of control, Yamada and Shiraishi could lose everything that they’ve worked for thus far. How will Yamada solve this predicament? And is there something else behind Itou’s actions? This and more are revealed with a kiss!